Dude and Arnette - Save the Hop Farm from Storm Doris! The day that Doris battered the Hop Farm Oast Houses! There’s a French saying, ‘force majeure’ (superior force) which strikes fear into any property owners heart. These unavoidable acts of nature, such as Storm Doris don’t come around often in the UK but when they hit they cause a whole lot of damage, as the team at the popular Hop Farm attraction in Kent found out. If you can get the image of a little old lady battering an Oast Cowl with her handbag out of your head (!) then let us take you back in time to the day Storm Doris descended and reeked havoc on the Hop Farm’s historic Oast Cowls. On the 23rd February 2017, Doris blew in with gusto with winds of up to 94mph, whipping trees from their roots, and causing devastation across the country. 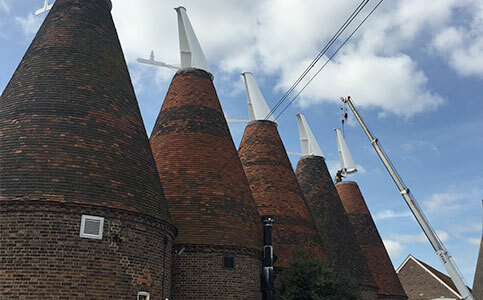 We were called in to the Hop Farm the following day after they saw that their Oast Kilns has been badly damaged by the storm, with one cowl ripped off the pole and four others which had been badly damaged. A venue famous for having the world’s largest collection of Victorian Oast Houses, and with wedding season fast approaching, it was imperative that they be restored to their former glory quickly, so we zoomed to the rescue – Superman style. The cowl that had come off had been sealed by our team on the first visit, but on our return we removed the four additional damaged cowls and took them away to inspect and repair. After refitting, we decided with the site manager that a maintenance program for the cowls would be the best idea going forward to ensure the site continued to stay in tip top condition, a little like the painting of the Severn Bridge. 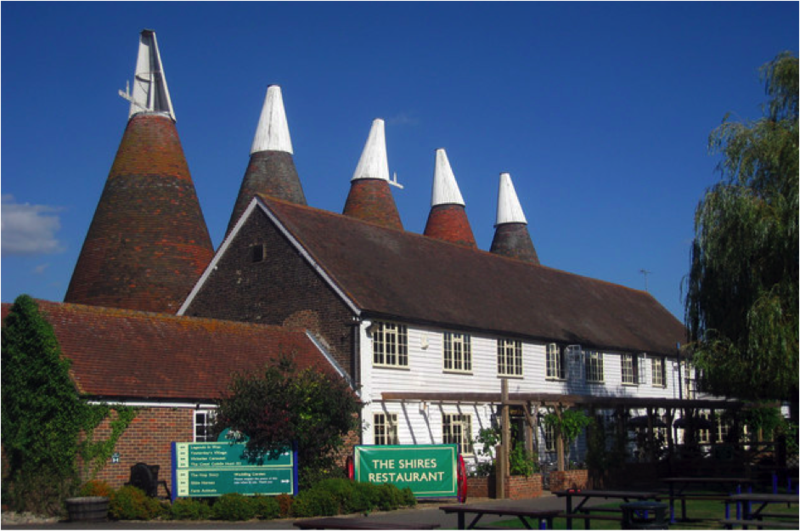 Although Doris is firmly in the bad books, we are pleased to be working alongside The Hop Farm, helping to restore and maintain their beautiful Oast Houses for thousands of visitors to enjoy year after year. 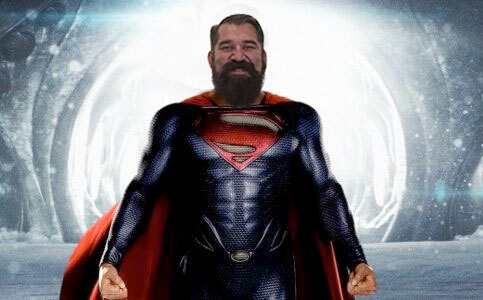 Team D&A to the rescue once again – now we’re off to hang up our capes and have a cuppa.